This is a refreshing reflection after the Egyptian elections. The results were certified today, and, from a liberal or leftist intellectual’s perspective, 48.44% of the ballots displayed people being stupid. This is the combined result for the two top votegetters, and while it’s not quite a majority, it was enough to put Mohammed Morsi (the candidate of the Freedom and Justice Party, or the Muslim Brotherhood) and Ahmed Shafiq (former general, Mubarak’s last prime minister, the candidate of the military and the old regime) into a runoff for President. It’s Armageddon, the Islamists versus the army, the two establishments battling head-to-head, with the values that animated most vocal revolutionaries squeezed out from the middle without a smidgen left behind. Boy, is everybody else pissed. 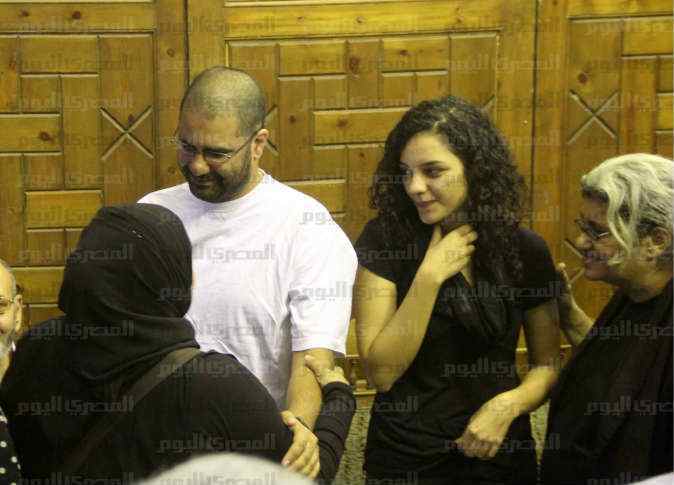 a number of witnesses in their testimony to detectives charged political activist Alaa Abd el-Fattah and his sister [Mona Seif, founder of the No Military Trials campaign and hence particularly unpopular with the generals] with involvement in the attack on the headquarters of the Ahmed Shafiq campaign; witnesses said they saw Alaa and his sister asleep in a car near the office minutes before the storming and burning of the headquarters. Even now, Shafiq’s candidacy is under a pall of doubt for a number of reasons. One is that the Brotherhood-dominated Parliament in April passed a law barring any senior Mubarak official from running. Shafiq, senior Mubarak official par excellence, challenged this before the Electoral Commission, which is staffed by Mubarak holdovers; they ruled he could run after all, pending a decision by the Constitutional Court. Rumors today suggested the court will hand down a ruling on June 11, five days before the runoff. Kicking Shafiq off the ballot at the last minute would be regular business in this highly irregular election. Neither of the two apparent finalists was the first choice for their respective sides. The Electoral Commission earlier disqualified the Brotherhood’s favored candidate, Khairat el-Shater, for a previous court conviction. It also booted the military’s number-one flack, Omar Suleiman, because too many of his signatures were forged. 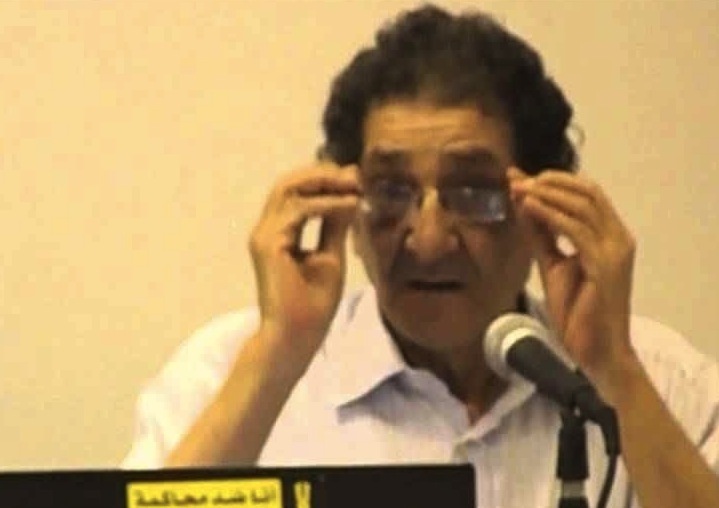 (Suleiman was Mubarak’s top spy, chief torturer, and chosen successor; I noted here eight months ago that the junta was keeping him in reserve as a possible Presidential candidate.) 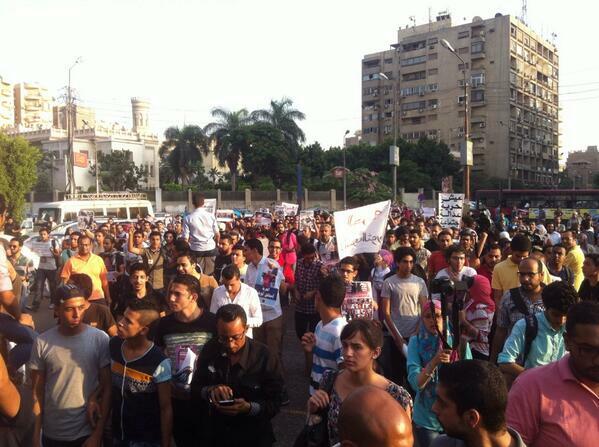 The two sides fell back on the uncharismatic Morsi and the dully bureaucratic Shafiq with some resignation. In the process, the Commission also kicked out Hazem Abu Ismail, candidate of the far-right Salafists, because his late mother had acquired an American passport. The era when any Egyptian can grow up to run for President is still not here. There are some signs of irregularities in the first-round voting, though Jimmy Carter found it generally fair. A reformist judge today demanded an explanation for the appearance of 5 million new voters on the registration rolls in the last year. Despite a ban on security personnel voting, an officer has filed a complaint saying that 900,000 were issued IDs to cast ballots for Shafiq. (Wael Eskandar has a rundown on these allegations here.) 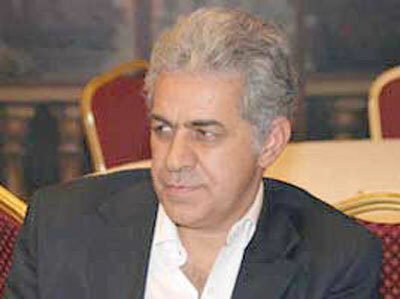 That’s more than the 700,000 votes that separated Shafiq from the third-place runner up, the Nasserite Hamdeen Sabahi. But back off a moment. Even if the military illegally manipulated Shafiq’s showing, the fact is that the old reprobate got a lot of votes nonetheless. The three top finalists (Morsi, Shafiq, and the edged-out Sabahi) won close to 70% of the ballots between them in a packed field. Perhaps, while the ashes settle in Cairo, one can consider, in that pundity way, what this means: what are the Lessons of it all. Money and organization. Morsi and (however doubtfully he used it) Shafiq had it. The Brotherhood, in addition to its alleged funding from Qatar (possibly supplemented by Saudi cash after Riyadh’s favored Salafists were disqualified), has its core constituency among the professional classes; these too help keep it in the black. Both cash and commitment have aided it in building the most formidable grass-roots machine in Egyptian politics. True, its vote fell off substantially since last year’s Parliamentary elections — from more than 40% to less than 25%, reflecting wide anger at the legislature’s ineptitude. But it still mobilized the votes it had. Shafiq, meanwhile, certainly enjoyed the military’s money behind him, if not those 900,000 ID cards. 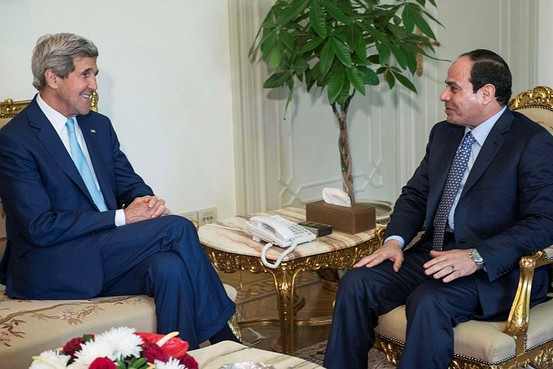 It’s interesting that he didn’t start taking off in the polls until Obama, after some hestitations, renewed the $1 billion-plus in military aid the US ladles on Cairo; perhaps the prudent junta was holding off until it knew for certain the piggy bank (a haram receptacle, but a hefty one) was full. Ideological certainty. The two candidates whom pundits and polls had earlier anointed both failed miserably. Abdel Moneim Aboul Fotouh, the liberal former Brotherhood member who tried to built a rainbow movement stretching from secularists to Salafists, got 17% of the votes. Amr Moussa, charismatic former Foreign Minister and Arab League head, got 11%. Most voters, I would guess, disdained their vagueness — the elisions of coalition politics in Aboul Foutouh’s case, and of slippery sloganeering in Moussa’s. They voted for clarity instead. Sabahi, the Nasserist, ran as an unreconstructed leftist, talking of social and economic justice. Even without much cash on hand, a clear populist message propelled him nearly to the top. And even if Morsi and Shafiq hedged about exact plans and programs, the Brotherhood and the Mubarakites are so familiar that you’d have to be a fool not to know what you’re getting. After the confusions of a revolutionary year, a lot of people wanted straightforward beliefs. Nostagia and nationalism. The siren singing of the successful candidates had, to an outsider’s ear, something of a retro tonality, like a bad cover of a previous year’s hit. The Nasserites, since the Great Gamal died, have had little appeal but memory: recollections of a day when Egypt was independent of the US, adored by the Arab masses, feared by the Arab kings, and at perpetual war with Israel and others. ( It’s to Sabbahi’s credit that he broadened this by talking about present-day economics.) Shafiq, meanwhile, based his campaign on an end to the current crime wave and a return to enforced national unity and omnipresent police. And the Brotherhood, while not exactly nationalist in their blandishments — Islam of course is transnational — invoked a solidarity transcending temporary political divisions, the ummah, irrefragable except for those pesky Copts. If you worry about society’s friability in the face of democratic disagreement, or about a loss of national dignity with the retreat of economy and state, these are the guys for you. What the left revolutionaries didn’t do. If I’m right about the above, then the votes for Morsi and Shafiq seem not stupid, but the pursuit of a rationality different from the leftist and liberal intellectuals’. But a vote for the unequivocal was made easier by the left revolutionaries’ own equivocations about a program. Beyond overthrowing the dictator and establishing democracy, they never developed one. Even on those two points, of course, much is undone — the junta still rules, civilians suffer in military courts, torture continues; but the negatives amount to a call for dismantling the existing system, not guidelines for what a new one will be, or do. I am reluctant to speak of “failure,” but two aspects seem like failures to me. First, the middle-class revolutionaries never engaged much with the workers or peasants who also manned, and womaned, the revolution. They had enormous trouble, indeed, integrating economic justice into their own demands: over the summer, negotiations on a revolutionary program never got much farther into economics than an anodyne provision on the minimum wage. Second — growing from the first — they failed to follow their own left principles consistently. Almost all the youth activists had some touch of anarchism, for instance. 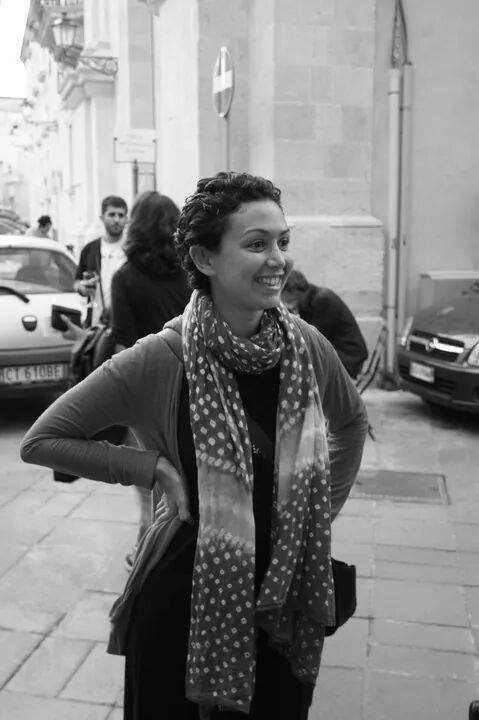 But they did little work on micropolitics, to build local structures of decision-making and alliance within the larger society, structures that might have given the ecstatic but ephemeral experience of Tahrir some permanence. Still less did they follow their syndicalist ancestors in working with the trade unions (for instance) to imagine different models of self-government. These are missed opportunities. As a result, most of the young revolutionaries wound up politically homeless. 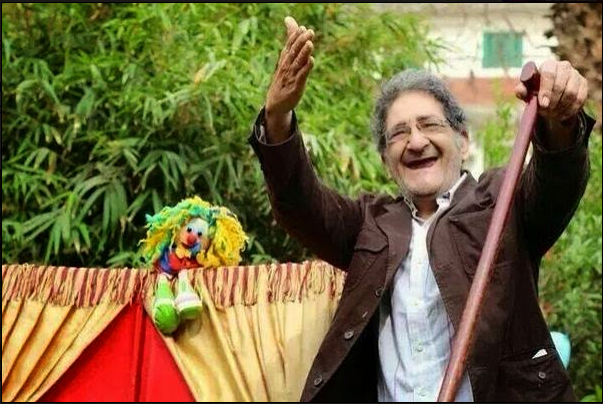 In the first Presidential round, most of their votes probably went to Sabahi, the secular leftist — deserting Khaled Ali, a human rights activist just barely old enough to run, who incarnated many of their values and had no chance and wound up with .5% of the votes. But before that, many had a weird flirtation with Naguib Sawiris, a fantastically rich mobile-phone entrepreneur who founded the Free Egyptians Party, and was one of the more inept politicians among the many incompetents to whom the Revolution opened public life. A Revolution that marries a billionaire is making a bad match. But certainly this doesn’t mean the Revolution failed. For better or for worse, the Revolution was always a postmodernish one, limited in its objectives, rejecting the Leninist model of seizing state power. The chance to seize state power was there; on the last day before Mubarak fell, as protesters surrounded the government broadcasting center, they seemed for a moment to be following a script as old as the First International. But they rejected it. Historians will probably debate the wisdom of this for decades, but the fact is: the lack of a positive program was built into the way the revolutionaries behaved. They scrupulously abjured either arrogating government authority to themselves, or replicating it by building a new model. That wasn’t the idea. Their highest goal was to open society up and create the space for democracy, and it was part of their dignity and modesty that they didn’t claim some preempting nsight into what that democracy should do. And now? The leaderless liberals have launched a “united front,” predictably disunited, to demand that whoever becomes president set up an inclusive constitution-drafting process. 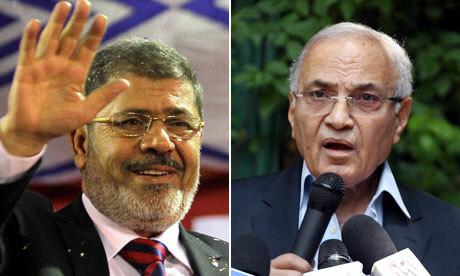 Shafiq and Morsi will go ahead and campaign, though Shafiq might be disqualified at the last minute. Each will spend the time trying to scare the hell out of everybody about the other. After that, whoever wins will have a thoroughly divided country on his hands. That might not be a bad thing, give the regressive politics either one would represent: neither exactly deserves carte blanche to govern. And if Shafiq is shucked off the ballot? Does Sabahi enter the runoff with five days to go? Is there a new election? The whole thing has been so bungled so far that nobody can guess. The question is not really anymore whether there was massive fraud, or only minor violations as the PEC [the Electoral Commission] stated today. Its ruling is not appealable, it has a past record of dubious decisions, and it behaved suspiciously by distributing last minute supplementary voter lists and blocking access to observers to counting rooms. The PEC had no credibility even before the vote was cast for many people who are unhappy with the results. The real question is to what extent will the political leaders that supposedly represent the protestors will push the delegitimization of the elections, and how the Muslim Brotherhood (which has alleged fraud but not filed any complaints, perhaps afraid to lose its spot on the runoff) will position itself between the protest movement and the state. [S]omeone needs to rise to the occasion here and reject this electoral process outright (Aboul Fotouh and Khaled Ali have). 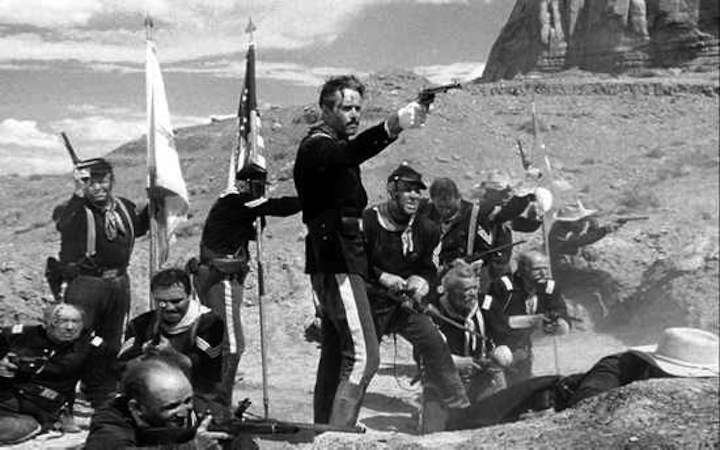 If you’re going to lose, you might as well drag others down with you — in this case, the PEC, the SCAF [Supreme Council of the Armed Forces], and the (officially) winning candidates. It’s just good politics. I’m not sure. 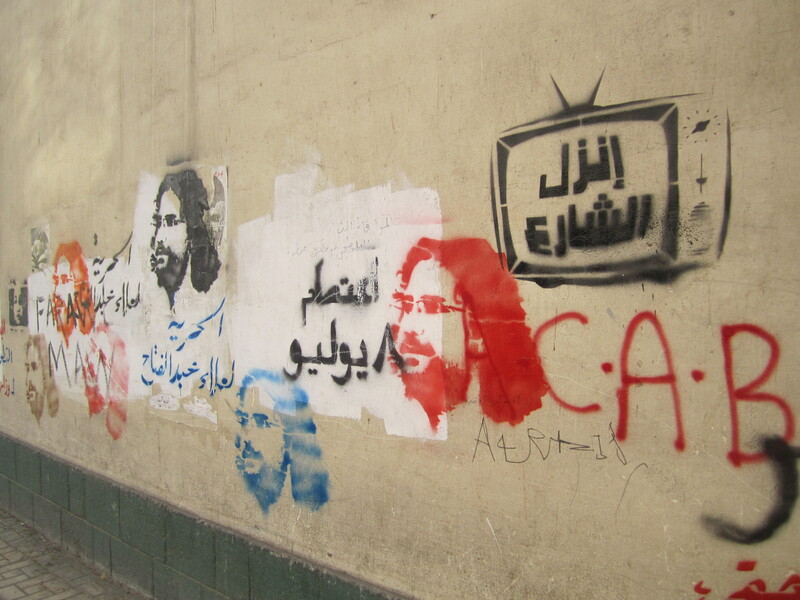 SCAF needs to be dragged down, but can that be done from the streets anymore? Shafiq won’t do it, but could Morsi? These are things people will be asking. Giving either side command of the state closes off certain possibilities. But it potentially opens a different project: building society, something the revolutionaries (as opposed to the Brotherhood) have neglected so far. Yet that the society is already open enough for people to be, by the revolutionaries’ lights, collectively stupid without fearing the apocalypse — that’s a kind of victory. A country presented with a couple of unacceptably stupid choices is exercising the giddy freedom of idiocy, where other freedoms begin. That’s society, starting to flex itself and act. It’s worked. How much more can the revolutionaries ask? 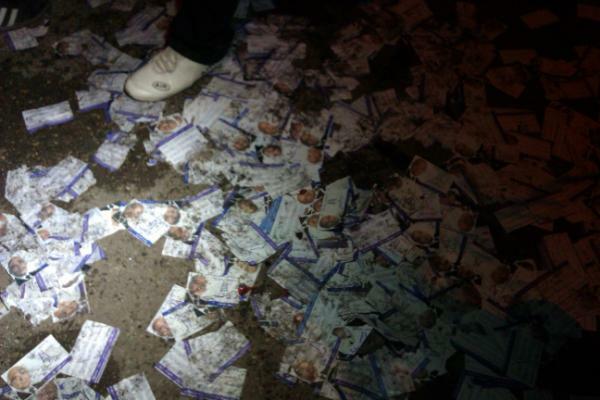 Zillions of scorched and scattered Shafiq flyers carpeted the ground outside his smoldering headquarters tonight, sodden from the runoff from the fire hoses. Sarah Carr writes, “The wind is making all the Shafiq pictures on the ground fly up in the air like a lovely American Beauty moment felool style.” There’s nothing so creepy it can’t be beautiful from the right angle. Now back to business. Sign the petition calling for his release. 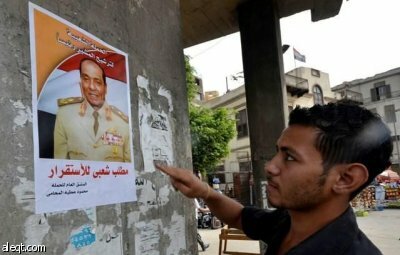 Posters are spreading like blotchy fungus on bare walls in Cairo and Alexandria. Smiling from them is the head of the Supreme Council of the Armed Forces (SCAF), Field Marshal Mohamed Hussein Tantawi. The posters say “Egypt above all” and “The people demand stability.” They call for electing Tantawi President of the Republic. A coalition of “3,000 lawyers, businessmen, physicians and other professionals” boldly claims responsibility for the posters — boldly, because of course they are a terrible insult to Egypt’s armed forces. After all, the military has sworn it doesn’t want power, and that it’ll surrender it in 2011, or 2012, or 2013 … well, the dates keep changing, but the promise stays the same. Nothing could be more offensive than to suggest the generals might be induced to change their minds. Surely, then, these debauched souls will be charged with defaming the guardians of Egypt, a serious crime, and tried in military courts, and tortured, and probably their links to the Mossad, the US Embassy, and other foreign forces will be dredged up to discredit them. Already, with amazing effrontery, their antics are being praised on state TV! But surely a righteous vengeance can’t be long in coming. Or maybe not. 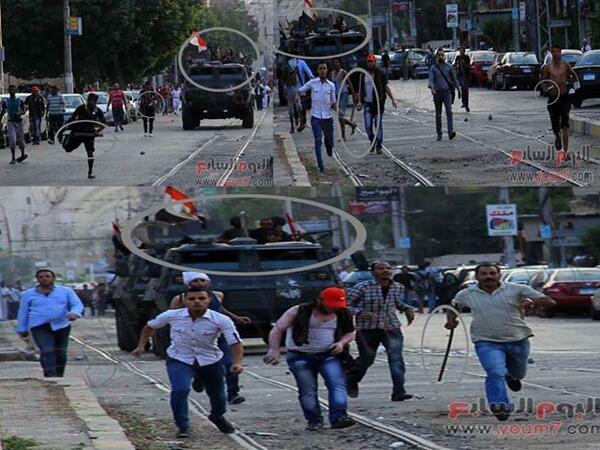 Justice in Egypt is a bit more selective. in a cell with eight men who shouldn’t be here; poor, helpless, unjustly held – the guilty among them and the innocent. As soon as they learned I was one of the “young people of the revolution” they started to curse out the revolution and how it had failed to clean up the ministry of the interior. I spend my first two days listening to stories of torture at the hands of a police force that insists on not being reformed; that takes out its defeat on the bodies of the poor and the helpless. Last week, Essam Atta was tortured to death in Cairo’s Tora Prison for smuggling in a sim card, to communicate similarly with the outside. 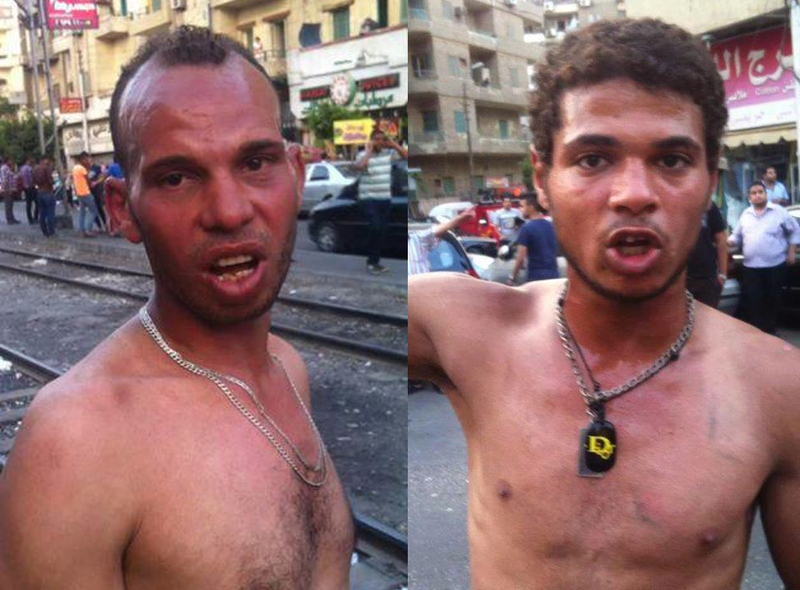 In retribution, guards raped him with a running water hose. 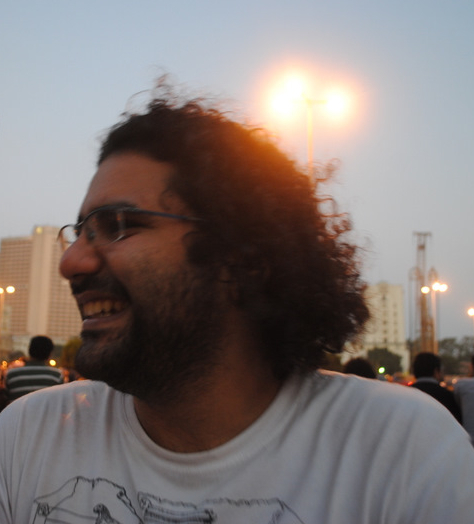 Despite the danger, Alaa Abd el Fattah insisted his letter be published. I know Alaa only very slightly. 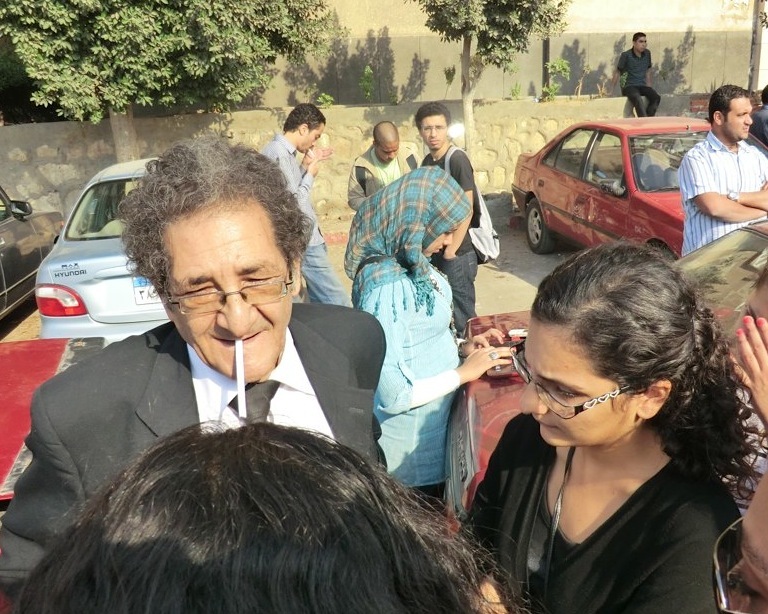 We’ve talked a few times, and I wound up standing near him at every demonstration every time I was in Egypt, perhaps because he was always the person there who most conveyed that he absolutely knew what he was doing. It would be hard to say how he conveyed it. He had the stereotyped revolutionary’s jungle of hair, but the rest of him seemed pudgily huggable and absent-minded, as if the Pillsbury Doughboy had been miscast as Trotsky. As usual, appearances deceived. Everybody, from other activists to the jailors of State Security, respected him for his courage. He was also a coalition-builder between diverse interests, and one of the few unquestioned intellectual leaders the revolution produced — someone who helped shape and articulate the image of a new society, giving substance to the dream of change. 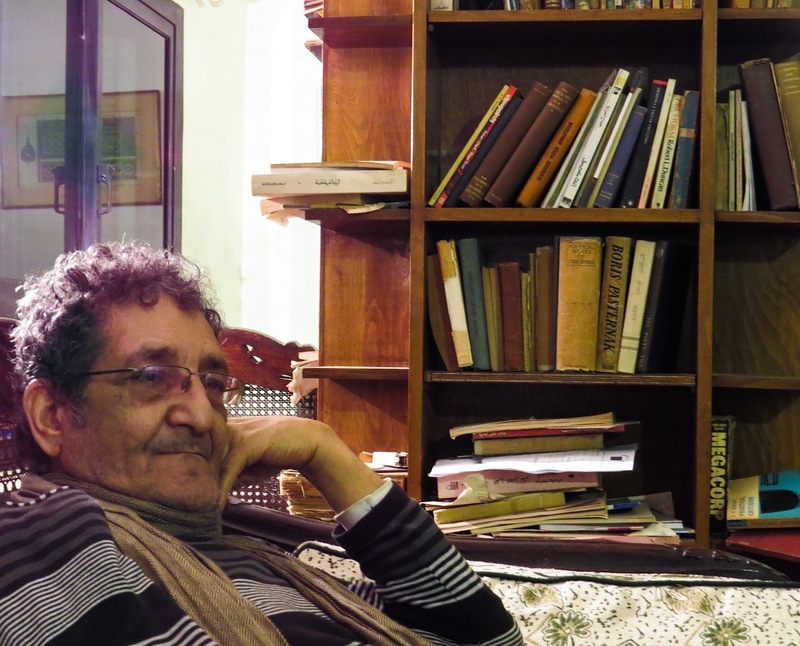 He spent time as a political prisoner under Mubarak as well; he comes from a revolutionary family, and both his parents and his sister Mona are leftist activists with international reputations. The whole clan has been something more than a thorn in the side of authoritarian oppression — they’ve been the alligator in its bathtub, the tiger in its back yard. 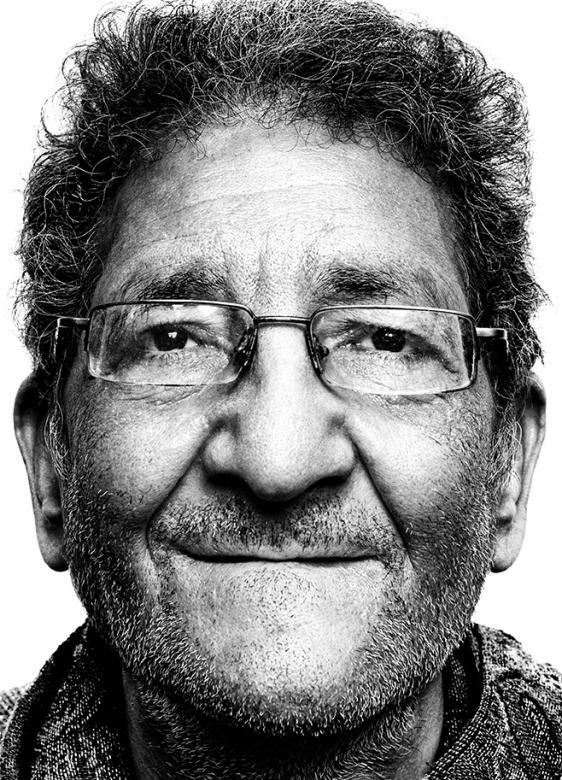 I had the privilege to work in the past with his father, Ahmed Seif el-Islam, a human rights lawyer whose complete and inexhaustible dedication makes him one of my heroes. 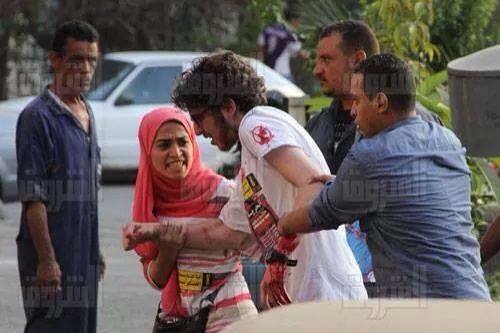 It’s proper, then, that Alaa should be a symbol. 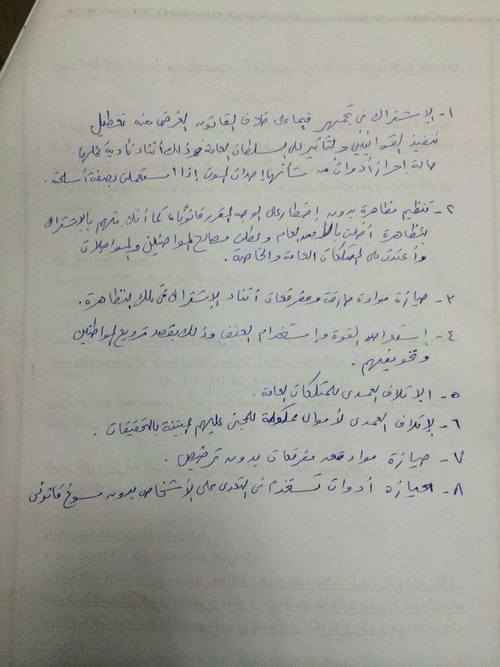 Here is a petition calling for his freedom, for full investigation of the Maspero murders, and for an end to military trials. 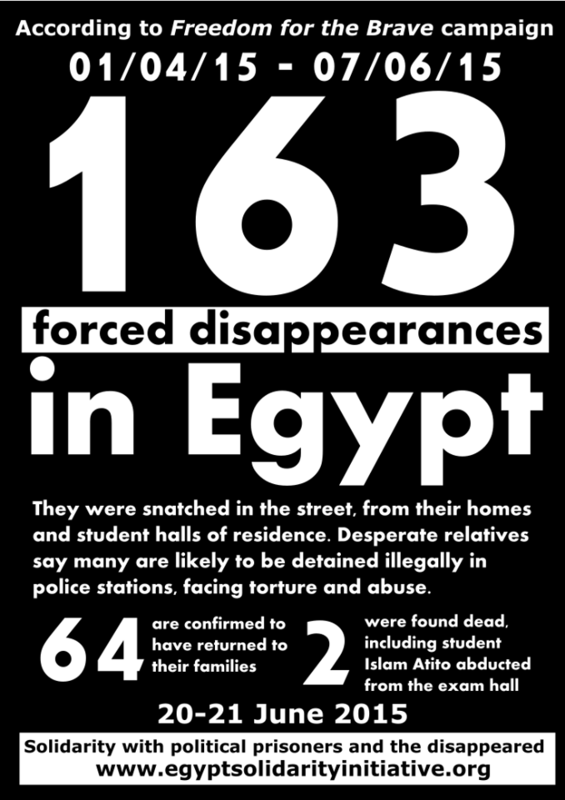 It’s also important not to forget the other victims he symbolizes: the many dead, the 28 or more other civilians the military has detained as scapegoats for the Maspero violence (it has held no one culpable on its own side), the fully 12,000 Egyptians hauled before military tribunals since the revolution. 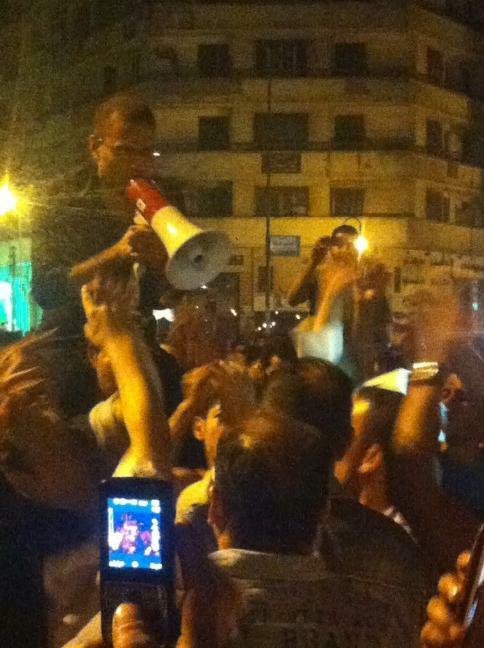 Maikel Nabil Sanad, whom I’ve written about here, also remains imprisoned. 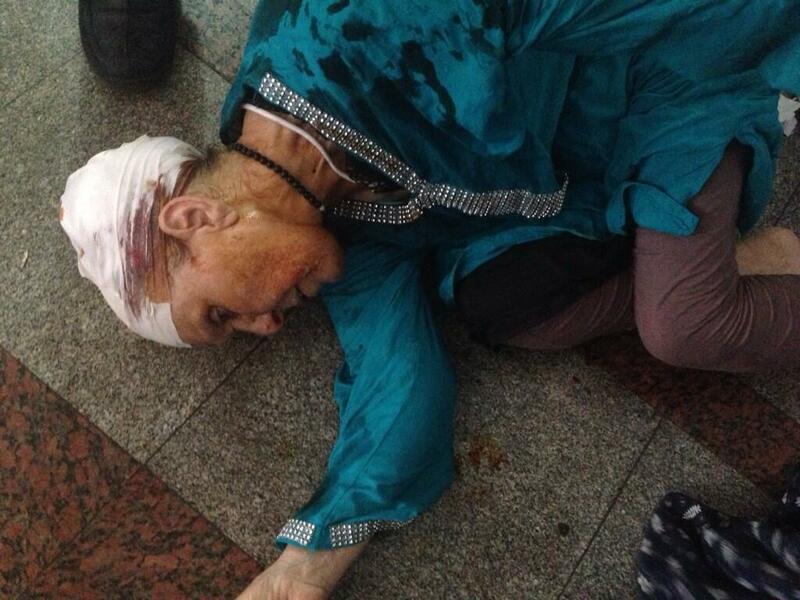 He was ordered retried before another military court, but has refused to appear, rejecting its legitimacy. His family demanded he receive medical care, for the hunger strike he’s been on for more than 70 days; instead, the junta has apparently moved him to a mental hospital. You can find information here on how to write to the military regime about his case. 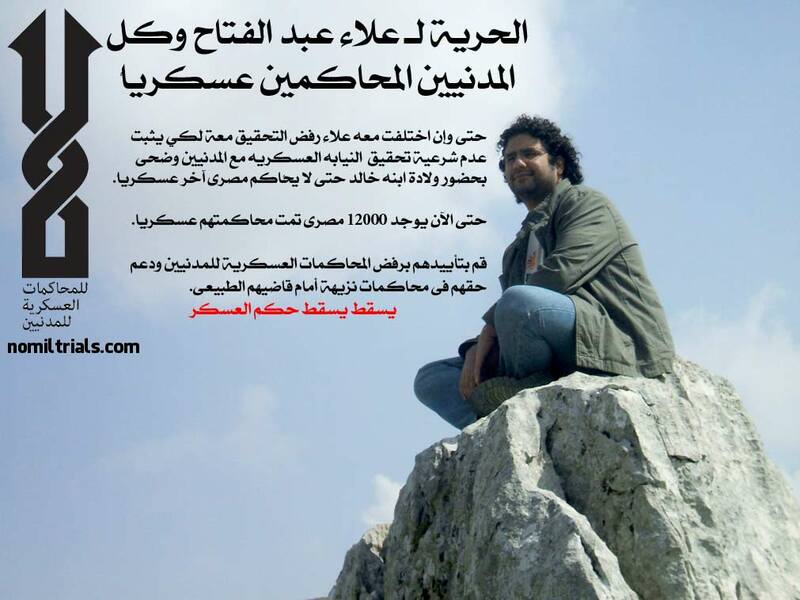 And his friends have launched a blog (in Arabic, with parts in English) publishing some of his writings in prison.